Hi everyone, once again I want to thank you all for stopping by but also your ongoing support to The Wondering Dreamer, I wouldn’t be here today talking about delicious wine, if it wasn’t for you all. As you may have seen from my stories and posts - I have just come back from a press trip to Istanbul with Ramada Hotel group and a team of talented influencers - London Blogger, NatInstaBlog, Cansudengey, Tadindasyahat and myfoodsteps. Ramada is without doubt one of the most recognised hotels in the world, with over 800 hotels in over 60 countries - talk about successful! This trip was organised to celebrate Ramada’s new international wine range - the slogan being ‘Say Hello to Red, a colour that has come to symbolise the brand’s warm and welcoming approach to hospitality. Having teamed up with the well known UK-based wine, journalist and author Jamie Goode, Ramada now have a beautifully crafted wine range that will give you those mouthwatering tastes of just some of the beautiful destinations where the brand can be found. After losing badly at the Ramada wine competition, I can officially say I am not a wine connoisseur, but a casual red wine lover! When arriving in Istanbul, we were greeted by the Ramada hotel staff who were beyond helpful and accommodating. Wonderful rooms, which are fully equipped with all the hotel necessities. Shortly after our arrival, we decided to whiz into the old town of Istanbul for a quick Instagram photo shoot! 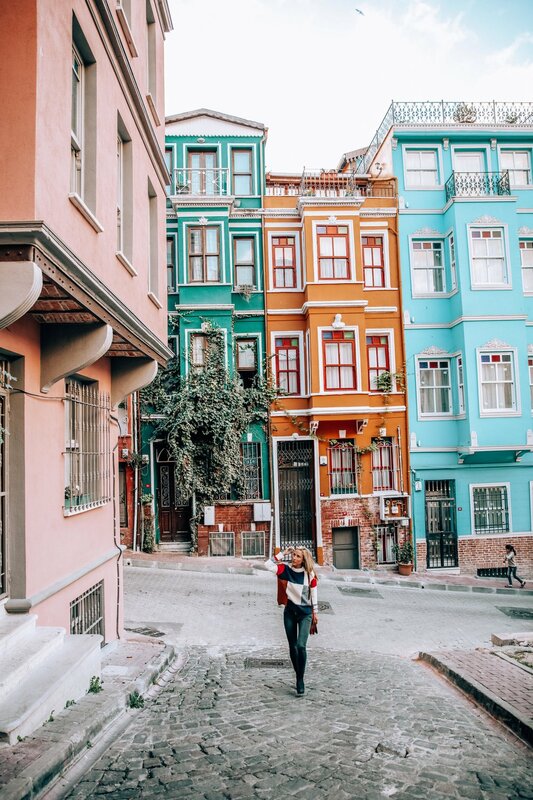 The old part of Istanbul is utterly charming with beautiful architecture, coffee shops, and a ray of colourful houses and facades. I absolutely fell in love with Istanbul and am already trying to work out when I can go back! Once we got back to Ramada, it was time to change and get ready for dinner on the beautiful roof terrace inside the hotel. We had a menu of seven dishes and a wine perfectly paired and served by a wine sommelier. The evening was absolutely delightful, hearing about the success stories of Ramada and how the heritage of each bottle, was given a place on the exclusive wine list. After a wonderful night sleep with a belly full of wine and food, we woke to have a delicious breakfast before taking a car to the wine region of Tekirdag. The fist vineyard of the day, was called Barbare, and it was set amongst an epic backdrop with panoramic views of vines - it was insta-heaven! We sat down to a 3 course Turkish lunch and tasted not only one of Ramada’s red wine from their list, but also Barbare wine. We had a tour of the land, visited the production factory and barrel room, all with a glass of wine in my hand! Shortly after lunch, we went to the next Vineyard a short drive away, called Umurbey Winehouse. It was a family run vineyard and much smaller in size - but had an overwhelming feel of love and hard work. We ate Turkish cheese, sampled their reds and spoke about the heritage of the vineyard before tasting some wine straight from the barrel (wasn’t a fan - too acidic for me, but interesting nonetheless)! After an ample amount of wine and food, we headed back to our second Ramada hotel in Tekirdag. This hotel was not dissimilar in style to the first, but the difference was the wonderful views over the countryside. It also had, like the first a lovely pool, gym and spa! 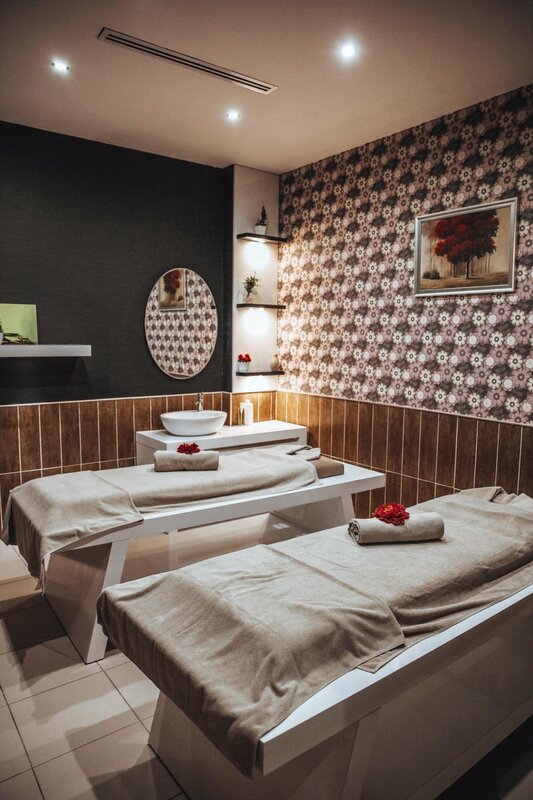 We were lucky enough to be treated to a spa treatment - I had a full body bali massage, which was a dream! After resting and changing, we went down to our last dinner with the Ramada team. The evening was full of traditional Turkish cuisine, samples of more delicious wine and a live Turkish band! We ended the our last night with a wine tasting game, and as I mentioned earlier, I came last…(sob, sob). 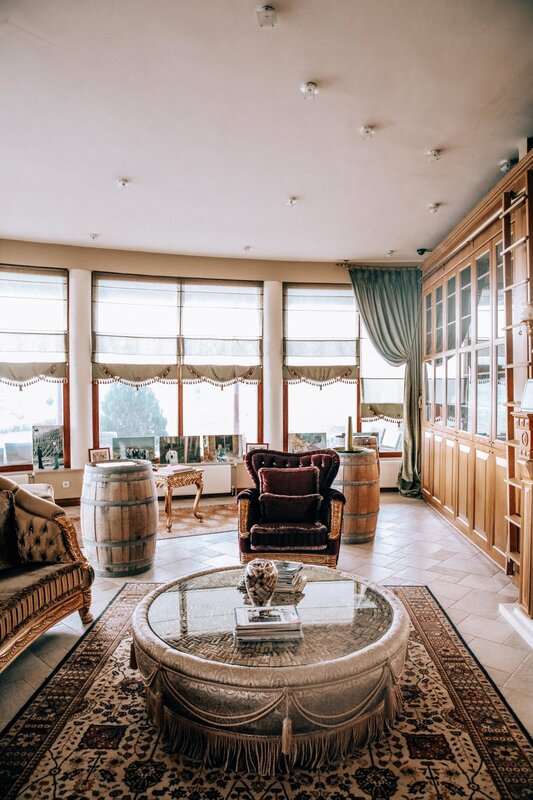 On our last day in Tekirdag, we visited two more vineyards called Chateau Nuzan and Barel. The first Vineyard Chateau Nuzan was run by a couple who escaped a busy life, to set up their dream home with a vineyard as their back garden. We sampled four wines, toured their land, production factory and barrel room. Barel was run by a very charming man with a beautiful set up. This would be the perfect place to visit with friends, and hang out in the garden amongst the vines, sipping on wine and tasting cheese in the sunshine! Just before our flight, we had an hour to spare, so we visited the famous Istanbul’s Grand Bazaar! The Grand Bazzaar, is one of the largest and oldest covered markets in the world, covering 61 streets and holding over 4000 shops / market stalls - with up to 400,000 visitors on a daily basis.. yes, I know, CRAZY! The smells, colours, lights and atmosphere were incredible, could have got lost in there for hours! Thank you Ramada for such a wonderful trip, had an absolute blast meeting everyone, and tasting wine I will never forget! Pinot Noir - Once you have succumbed to the charms of Pinot Noir, there's no going back. It is lighter in body and colour than many red wines, and good ones have beautiful floral perfume and bright cherry and raspberry fruit. Lighter Red - While some people love big, burly red wines, there's a new trend to lighter-style reds that emphasis perfume, finesse and delicacy. They also work well with food, because they generally have less tannin and higher acidity. Big Red - Sometimes we want a big, lush, fruity, delicious red wine. Something that delivers pleasure and power in equal measure. Wines that aren't aiming at sophistication or elegance, but which are just out to deliver pleasure. Fruity Red - Warm-climate countries make some of the best value reds of all, and when they make them in a young style without too much influence from oak barrels, they capture the warmth of the sun with beautiful direct fruit. Warm Spicy Red - With lovely sweet fruit, but also intriguing, exotic spicy complexity. Hailing from warm climates, they're the wines to turn to when you are faced with bold, spicy dishes, where the complexity in the wine enables it to take on the strong flavours with ease. Complex Oak-aged Wines - This is where we turn when we want something a bit special. Wines that have complexity that comes with age, and also through long ageing in oak barrels. These are wines with concentration, depth and structure, and they often repay ageing.